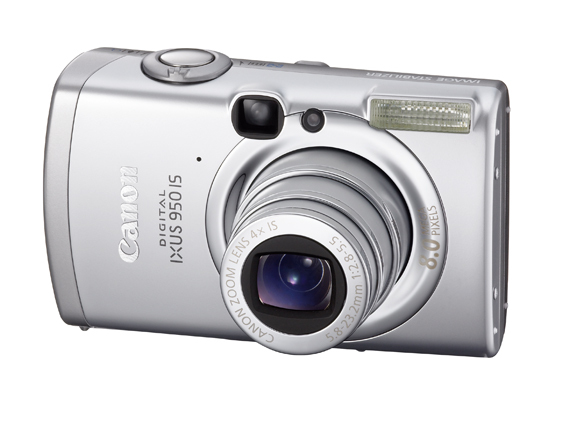 Canon?s combination of innovation and elegance delivers the ultimate IXUS camera. Canon 4x optical zoom lens with Optical Image Stabilizer. 2.5 inch PureColour LCD screen. DIG!C III Imaging Processor with ISO 1600. Combining optical image stabilizer technology and striking design the 8.0 Megapixel IXUS 950IS delivers rock steady, high resolution photos and movies. The Canon 4x optical zoom lens with Optical Image Stabilizer, delivers blur free, high resolution photos. Fast performance and industry leading image quality thanks to Canon's DiG!C III processor means you never miss a shot. Review your photos and movies on the PureColour 2.5" LCD monitor, or better yet, print and share your photo's directly from the camera with ease thanks to the Canon Print/Share* Button. - High speed start-up, fast autofocus, smooth continuous shooting, faster overall processing and superior image quality thanks to the revolutionary DiG!C III Imaging Processor. - DiG!C III delivers Face Detect technology for perfect focus, exposure and lighting when photographing family and friends. - NEW red-eye correction feature enables in camera red eye removal for perfect people prints. - A comprehensive range of shooting modes, from complete control to full auto, including pre-set scene modes customised for Night Scene, Kids & Pets, Indoor, Foliage, Snow, Beach, Fireworks, Aquarium and Underwater. - Wide range of ISO-Equivalent speed settings (Auto, ISO 80/100/200/400/800/1600). 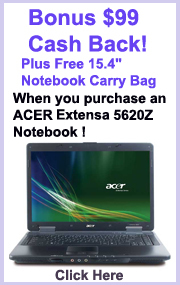 - High quality continuous movie recording and playback with sound for up to 4GB. - 3:2 aspect ratio guide for assistance in framing the perfect picture. Red-eye correction in playback / Single / Index (9 thumbnail images) / Auto Play / Transition Effects / Movie - Normal playback, slow motion*, pause, first frame, last frame, next frame, and last previous frame selectable. Fast forward and fast rewind are available. DPOF - Print Order/Image transfer,Sound Annotations - max. record/play time is approx. 60 sec.